Kirsty Latoya is a 26-year-old, artist from South London who specialises in digital illustration. 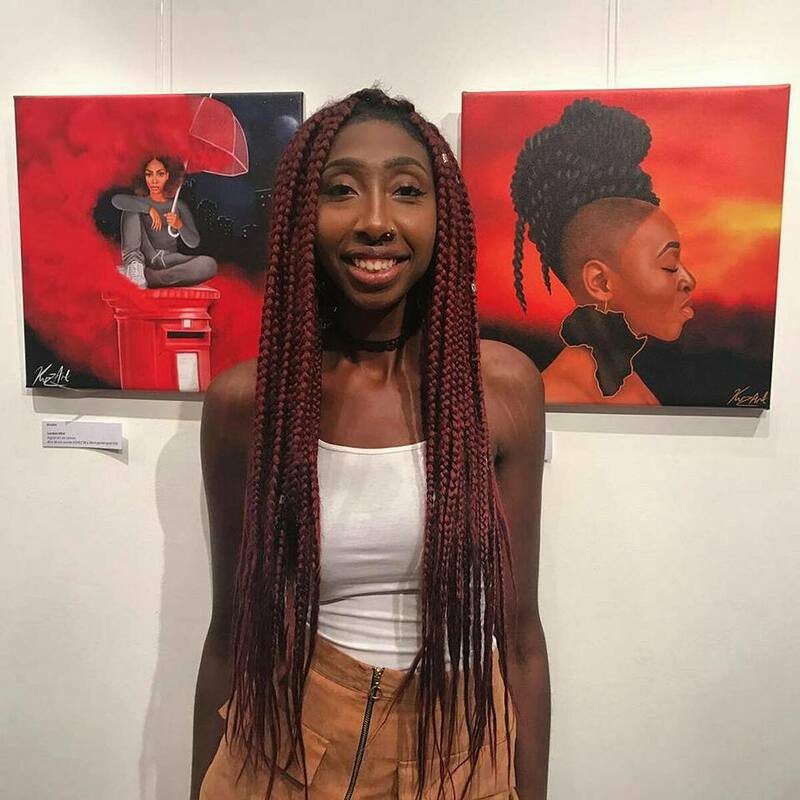 She concentrates on important issues such as mental health through her art. From a young age she identified art as her passion. She would always draw when armed with a piece of paper and a pencil. When her household got their first computer she'd draw for hours on Microsoft Paint. Later in life Kirsty neglected to study art because of pressure to study more 'academic' subjects. However whilst studying abroad in New York in 2012 she finally got the opportunity to take art classes. During this year long course she learnt how to paint and learnt the technicalities of art. Kirsty taught herself digital art in December 2014 by experimenting with drawing apps and programs. Kirsty started drawing with styluses but liked the freedom of her finger more. She now paints on her iPad using her finger as a stylus. Kirsty has had some attention from the press in relation to her mental heath art. The BBC, ITV, Buzzfeed and Huffington Post are amongst some of the media platforms she's had interviews with. Kirsty is working hard to build her portfolio and gain more knowledge about her craft. She is releasing a book in September with OWN IT! called Reflections of Me and will post details of the launch very soon.